Two popular dietary supplements often used as natural remedies for osteoarthritis, glucosamine and chondroitin sulfate may cause a number of side effects. Both supplements are said to help control osteoarthritis by protecting against the breakdown of cartilage. Before using either glucosamine or chondroitin sulfate, it's important to learn about their possible side effects and the potential health risks of each supplement (and discuss it with your physician). While management of osteoarthritis is the most common use of glucosamine and chondroitin sulfate, each is said to aid in the treatment of a variety of conditions. For example, glucosamine is touted as a natural remedy for interstitial cystitis, temporomandibular joint disorder, and glaucoma. Meanwhile, chondroitin sulfate is purported to treat cataracts, dry eye syndrome, high cholesterol, and urinary tract infections. A compound found naturally in your body, glucosamine is also available in the shells of shrimp, lobsters, and other shellfish. Although many dietary supplements contain glucosamine sourced from shellfish, some products contain synthetic forms of this compound. Here are some of the side effects most commonly associated with glucosamine: bloating, constipation, diarrhea, gas, heartburn, indigestion, nausea, and stomach upset. In rare cases, use of glucosamine may cause such side effects as drowsiness, skin reactions, vomiting, headache, elevated blood pressure and heart rate, and palpitations. Since glucosamine supplements may be made from shellfish, people with allergies to shellfish should avoid glucosamine unless it has been confirmed that it is a non-shellfish source. The source of glucosamine is not required to be printed on the label, so it may require a phone call to the manufacturer. It's thought that taking glucosamine with food may help reduce the occurrence of digestive issues associated with glucosamine. Chondroitin sulfate is naturally present in the cartilage surrounding your joints. The chondroitin sulfate found in dietary supplements is usually produced from animal sources, such as cow cartilage. Mild stomach pain and nausea are the two side effects most frequently caused by chondroitin sulfate. Chondroitin sulfate may also trigger the following side effects: constipation, diarrhea, hair loss, irregular heartbeat, and swelling of the eyelids or legs. Safety of Glucosamine and Chondroitin Sulfate? According to the National Institutes of Health (NIH), both glucosamine and chondroitin sulfate are likely safe for most adults. However, the NIH caution that the safety of using glucosamine and/or chondroitin sulfate while pregnant or breastfeeding is unknown. There's some concern that use of glucosamine may aggravate such conditions as asthma, diabetes, high blood pressure, and high cholesterol. Use of chondroitin sulfate, meanwhile, may have harmful effects in people with asthma, blood clotting disorders, or prostate cancer. Since glucosamine may affect your blood sugar levels and interfere with blood sugar control during surgery, it's important to avoid the use of glucosamine for at least two weeks prior to undergoing a scheduled surgery. There is some evidence suggesting that glucosamine, in doses used to treat osteoarthritis, may increase insulin and/or hemoglobin A1c (a test that measures how well blood sugar has been controlled during the previous three months) levels in people with diabetes or insulin resistance. In addition, glucosamine and chondroitin sulfate may interact with a number of medicines, including blood-thinning drugs like warfarin (Coumadin®). People with bleeding disorders, those taking anti-clotting or anti-platelet medication (such as warfarin, clopidogrel, and Ticlid®), or people taking supplements that may increase the risk of bleeding (such as garlic, ginkgo, vitamin E, or red clover) should not take glucosamine unless under the supervision of a healthcare provider. Glucosamine may also interact with certain medications used during chemotherapy. If you're currently taking medication, make sure to consult your physician before using glucosamine or chondroitin sulfate. So far, research on the effects of glucosamine and chondroitin sulfate in osteoarthritis patients has produced conflicting results. 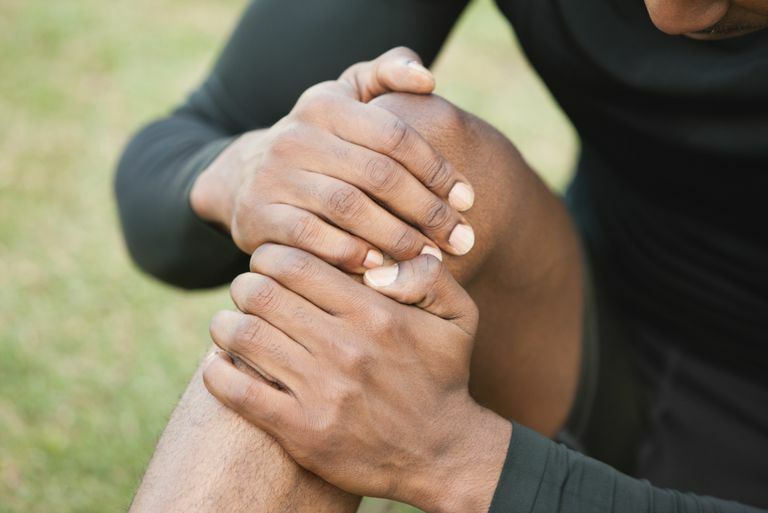 However, there's some evidence that glucosamine and chondroitin sulfate may help alleviate pain, ease stiffness, reduce swelling, and improve function in people with osteoarthritis. Other natural remedies that show promise in the treatment of osteoarthritis include white willow bark, Pycnogenol®, avocado/soybean unsaponifiables, omega-3 fatty acids, and bromelain. It should be noted that, like glucosamine and chondroitin sulfate, each of the above remedies is associated with a range of side effects. Anderson JW1, Nicolosi RJ, Borzelleca JF. "Glucosamine effects in humans: a review of effects on glucose metabolism, side effects, safety considerations and efficacy." Food Chem Toxicol. 2005 Feb;43(2):187-201. Black C1, Clar C, Henderson R, MacEachern C, McNamee P, Quayyum Z, Royle P, Thomas S. "The clinical effectiveness of glucosamine and chondroitin supplements in slowing or arresting progression of osteoarthritis of the knee: a systematic review and economic evaluation." Health Technol Assess. 2009 Nov;13(52):1-148. Bruyere O1, Reginster JY. "Glucosamine and chondroitin sulfate as therapeutic agents for knee and hip osteoarthritis." Drugs Aging. 2007;24(7):573-80. Hathcock JN1, Shao A. "Risk assessment for glucosamine and chondroitin sulfate." Regul Toxicol Pharmacol. 2007 Feb;47(1):78-83. Epub 2006 Aug 30. National Institutes of Health. "Glucosamine sulfate: MedlinePlus Supplements." February 2015. National Institutes of Health. "Chondroitin sulfate: MedlinePlus Supplements." February 2015. Sawitzke AD1, Shi H, Finco MF, Dunlop DD, Harris CL, Singer NG, Bradley JD, Silver D, Jackson CG, Lane NE, Oddis CV, Wolfe F, Lisse J, Furst DE, Bingham CO, Reda DJ, Moskowitz RW, Williams HJ, Clegg DO. "Clinical efficacy and safety of glucosamine, chondroitin sulphate, their combination, celecoxib or placebo taken to treat osteoarthritis of the knee: 2-year results from GAIT." Ann Rheum Dis. 2010 Aug;69(8):1459-64. Can You Really Lose Weight by Taking Hoodia? Are There Any Side Effects Associated With Using Fish Oil Supplements?